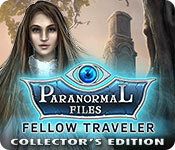 Paranormal Files: Fellow Traveler Collector's Edition is rated 4.5 out of 5 by 57. Rated 5 out of 5 by wildlifecrusader from The new kid on the block Where have I been when this game came out ? Almost missed a great new game. This is the kind of game I really love, fast paced, entertaining, perfect time killer, great puzzles and HOP's, collectables you have to look for and a captivating story. Hope it will be continued with more great stories, can't wait for the next one! Rated 5 out of 5 by sdemers from Loved this game I don't tell people about the story line you can read that for yourself. Great game played it 2x loved it. Rated 5 out of 5 by Tracy_lynn from Amazing! I hope they continue with this series. I was just blown away by the story line. Graphics were good. 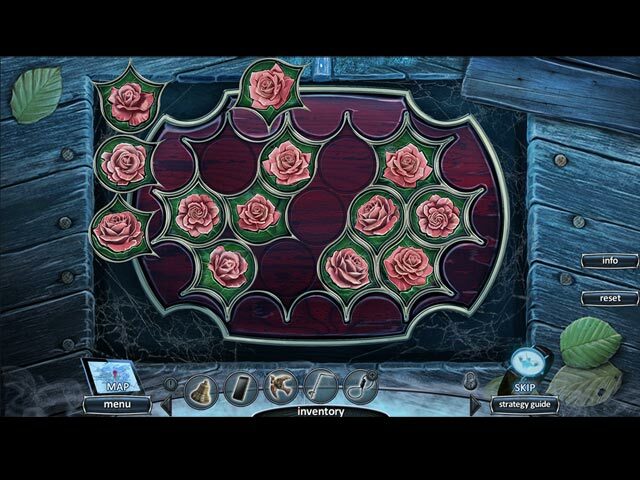 The puzzles and hidden objects were not to hard and not to easy somewhere in between. 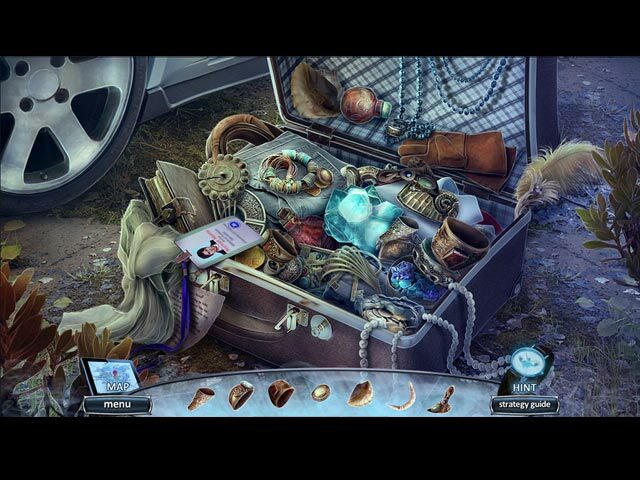 There are three things to collect, Ravens, Morphing Objects and Collectables. I bought the Collectors edition after only playing the demo for not even five mins. I do recommend this game. 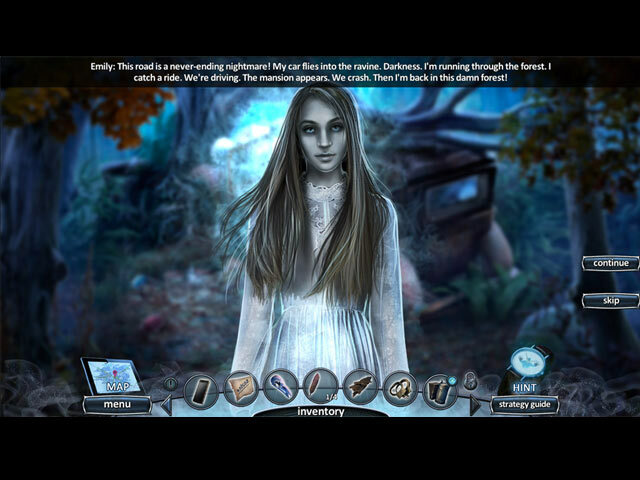 If you like solving a mystery, helping people out and the paranormal then this game is for you. Rated 5 out of 5 by sweetsavanah from Great New Series... Just want to make this short and sweet and state I absolutely loved this game. The game ran nice and smooth no hiccups. The story line was strong no getting lost what so ever. Bonus Chapter was a story of its own. Really enjoyed the main character and his sense of humor (yes we play as a male character) loved it. Hope this is a start of a New Series. Rated 5 out of 5 by irlandesa from Love the spookiness! The ghostly hitch-hiker is always a good start, and this one is truly spooky. I loved the story and the puzzles were fun. Great game! Rated 5 out of 5 by WPLUBEGIRL from Finally a game to love! This is exactly the kind of game I love. Realistic scenery with a creepy story line that comes right from the old ghost story of a ghost hitch hiker looking for her lost love. The scenery is excellent as is the music and voice overs. Great job Elephant games, you come on top again. Rated 5 out of 5 by grmynx from Oh yeah, this ones a winner! In the many years I have been a BF member (since 2011?) and the many games I have enjoyed I have never been inspired to write a review. This game has changed that. Is it anything all that different? No. Is it well done, and does it draw you in? Yes, it does. So why this one? Honestly, I don't know. Maybe it is the sarcastic, yet likable hero. Maybe it's the collectables that actually let you learn something about him. Him, by the way. Yes, it's a guy! (So many female protagonists...it seems special to have a male hero in this picture!) Overall, a great storyline, good gameplay, and an excellent start to another awesome series. I shall anxiously await the next round! Rated 5 out of 5 by Poodlekins from What a brilliant game! WOW what a game. I love paranormal games and this one hit the spot. Rick Rogers is great as was the story so here's hoping there will be more to come. I don't agree the game was too short, I played the CE version which was a long game plus the bonus chapter which was also a good length. Well done BF for this one.